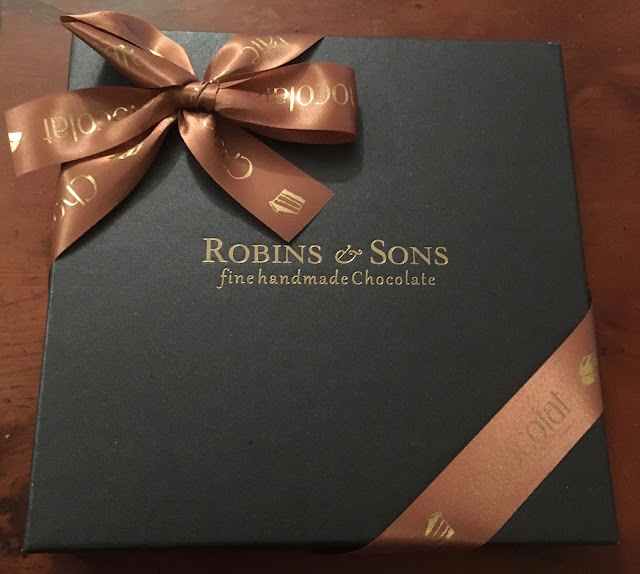 I had an email from the lovely folk at Robins and Sons asking if I wanted to try their Peppermint Bark chocolate. I have to admit that I have watched many American TV shows and films which have in passing mentioned Peppermint Bark, but I have actually never tried the stuff. I wasn’t even completely sure what it was. Peppermint is one of my favourite choices for a chocolate flavour too, so I know this was an opportunity I couldn’t pass up. It turns out that this chocolatier started making Peppermint Bark because they too couldn’t find any, even via import. My parcel arrived and I have to say just how impressed I was with the packaging, it was beautifully presented in a box with ribbons! 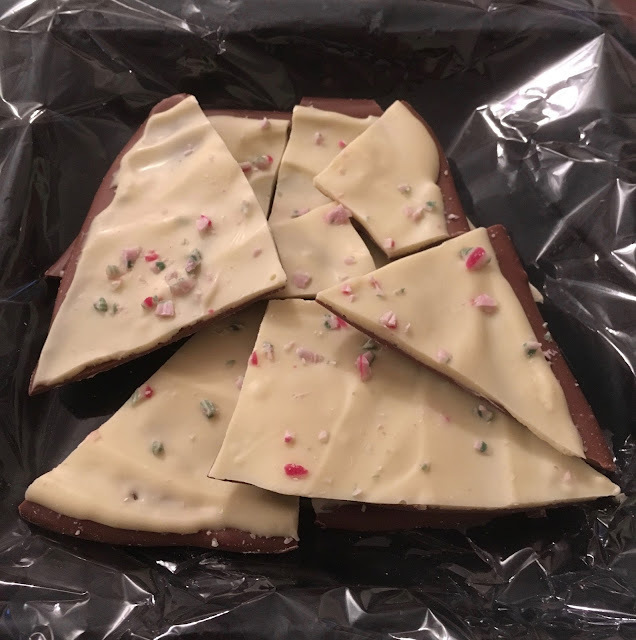 The box was well packaged in an outer box with plenty of packing materials, but the Peppermint Bark was broken when it arrived, however after a bit of googling it turns out it is supposed to be broken into pieces for eating, so I think that was okay. All the pictures on google images show broken slabs. Did I mention I wasn’t sure what Peppermint Bark was. 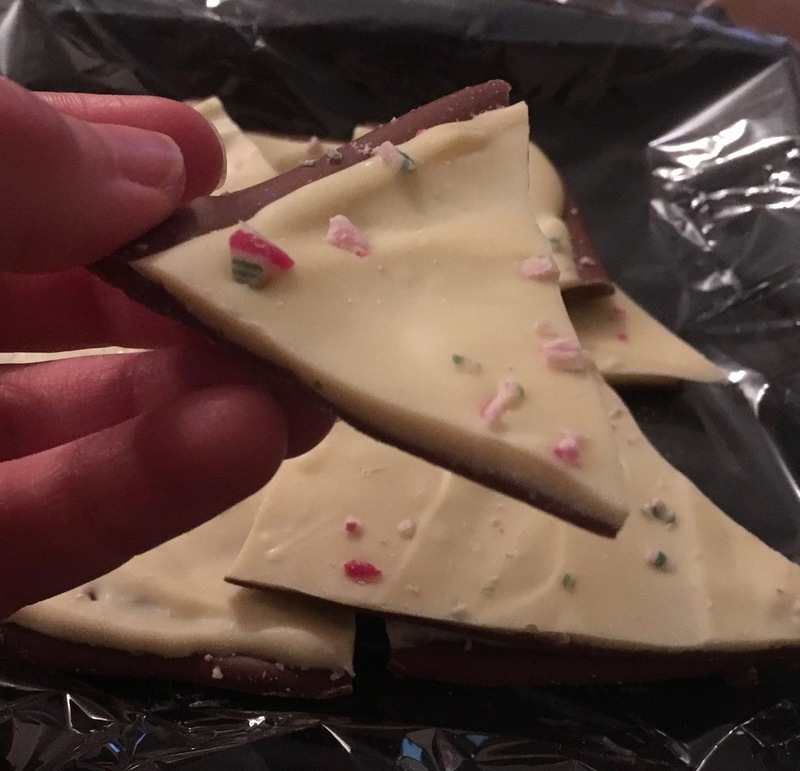 Well to confirm, it is a thin slab of milk chocolate, topped with white chocolate and sprinkled with broken up peppermint sweets or candy cane. I took one of the pieces and gave it a try. The chocolate was a fabulous treat, the milk chocolate is very sumptuous and the white chocolate layering adds a lovely level of creaminess to the bar. The peppermint sweets do fuel a refreshing peppermint flavour which works perfectly with the base chocolate. They look pretty too nestled on the layers. This would make a fab gift for any American over here missing home, or anyone who has a love of peppermint and chocolate. I for one think I may well be hooked.